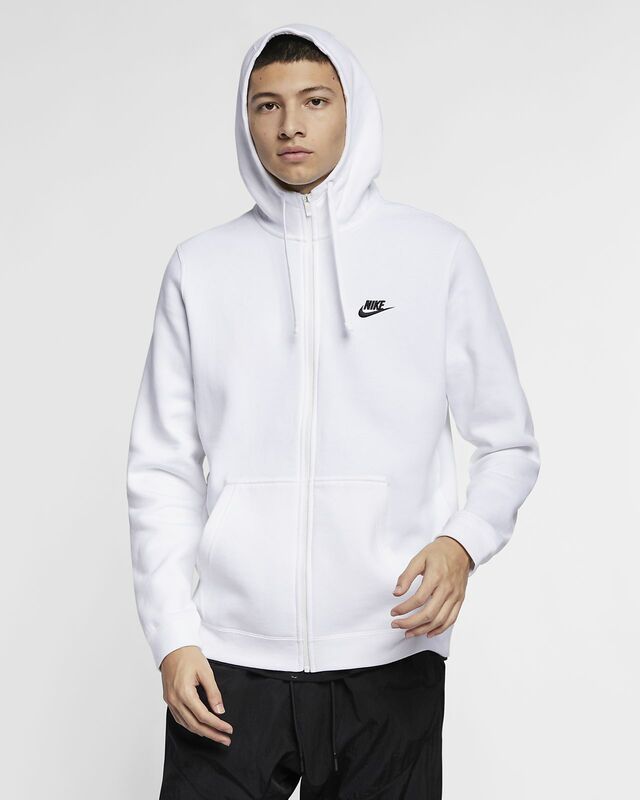 The Nike Sportswear Club Fleece Hoodie bundles you up in plush comfort without the bulk. Crafted with soft fleece fabric, it features an updated, slim hem and cuffs for a clean look. Fabric: Body: 80-82% cotton/18-20% polyester. Hood lining: 100% cotton. Note: Material percentages may vary depending on color. Check label for actual content. the look and feel is real great! they see you coming from a far and know you command the room or what ever place you are in. Nice fit. My son loves it! I bought this item on a whim and I am happy I did. It makes a great throw on and throw under something. It's very comfortable.